What Is the Tensile Strength of Grade 8 Bolts? 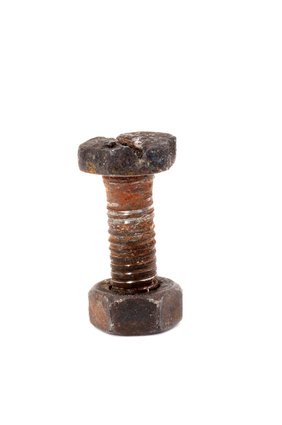 The tensile strength of a grade 8 bolt is 150,000 pounds per square inch. Tensile strength is the maximum load in tension (stretching) that a part can carry without breaking. In addition to tensile strength, other mechanical factors in a connection should be considered, including yield strength and proper assembly of the parts. 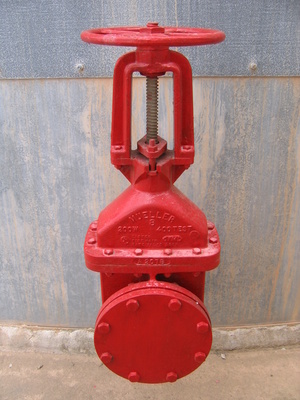 A properly designed bolted connection will be able to withstand far more than the expected maximum stress to which it will be subjected while it is in service. 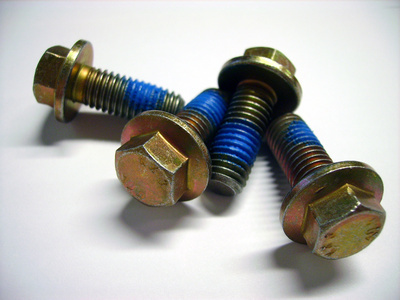 The load that a bolt can safely carry is determined by its basic mechanical properties. The tensile strength of a material is determined by stretching it until it breaks. The yield strength of the same material is the stress load at which it first begins to permanently deform; in the case of a bolt, it is the point at which it begins to stretch and narrow without bouncing back once the load is released. Different grades of bolts are composed of different metal alloys and therefore have different mechanical properties. 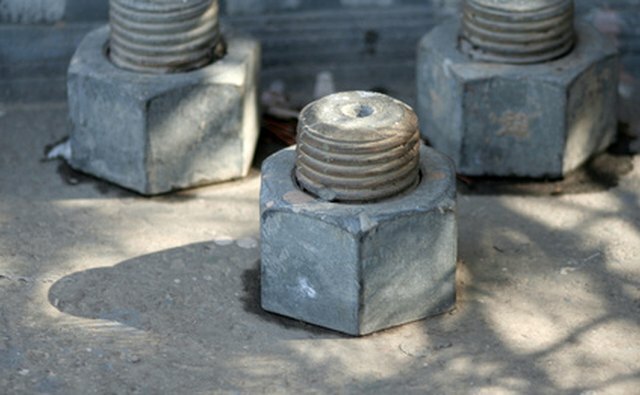 Grade 8 bolts are made of quenched and tempered medium carbon alloy steel. They are about twice as strong as grade 2 bolts, which are made from untempered carbon steel. Grade 8 bolts and all other grades of bolts are marked so that mechanics and other workers can identify them on the job site to be sure they are installing the proper parts. 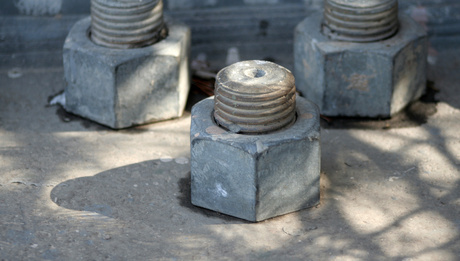 Most bolts are marked on the bolt held with a standard marking to state its grade. 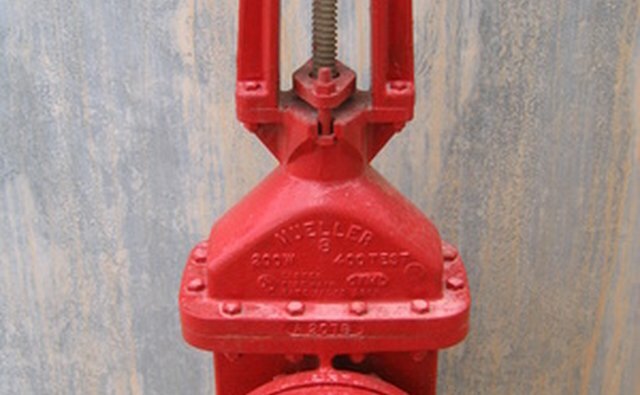 For example, a grade 8 bolt is marked with six radial lines around the face of the bolt head, and a grade 5 bolt has three radial lines, but a grade 2 bolt has no markings. Metric bolts have various combinations of numbers marking their heads. Tensile strengths and yield strengths are expressed in pounds per square inch in U.S. measurements. To determine the maximum load a bolt can carry, multiply the cross-sectional area of the bolt at the greatest thread depth by the tensile strength of its material. For example, a 1/2-inch grade 8 bolt with 13 threads per inch has an effective stress-carrying cross section of 0.1419 square inches, so its breaking load would be 0.1419 (area subject to stress) x 150,000 (tensile strength) = 21,285 pounds. No bolted connection would be designed with the intention of having it break, so engineers and mechanics apply safety factors in determining the proper sizes of bolts and nuts to use. The maximum load a bolt would be designed to carry is known as the "proof load," which is about 92 percent of the yield strength. By keeping the expected load below this point, it is certain that the bolt will not lose strength by permanently stretching. In practice, safety factors more stringent than the proof load are used for most connection designs. For example, a safety factor of 2 would require that the expected load on the connection be less than half of the material's yield strength. The tensile strength and yield strength of a bolt are not the only factors that determine the competence of a bolted connection. The connection depends upon the threads on the bolt and inside the nut to provide the shear strength necessary to hold the parts together. 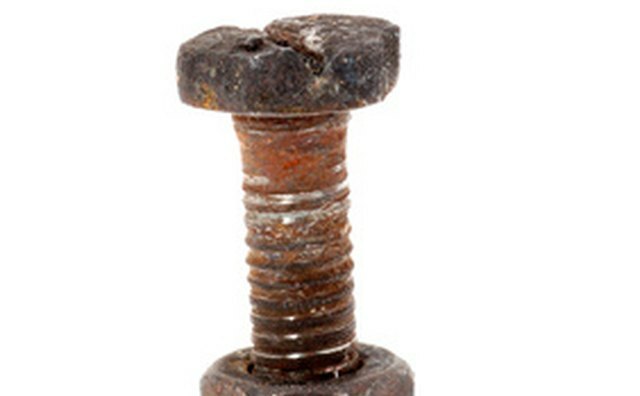 The nut must be threaded completely onto the bolt for maximum strength. If the bolt is too short for the nut threads to be fully engaged, a longer bolt needs to be used. The proper torque must be applied to fully engage the threads to keep the connection tight. Other factors that influence the competence of the threaded connection are temperature changes, vibration and the presence of corrosive compounds. 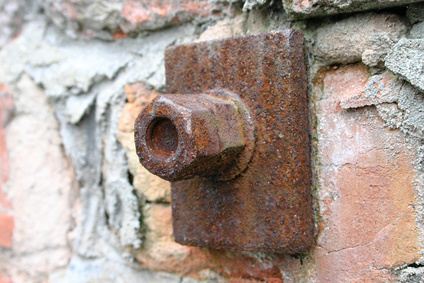 A properly designed bolted connection will last longer than the life of the parts being held together. 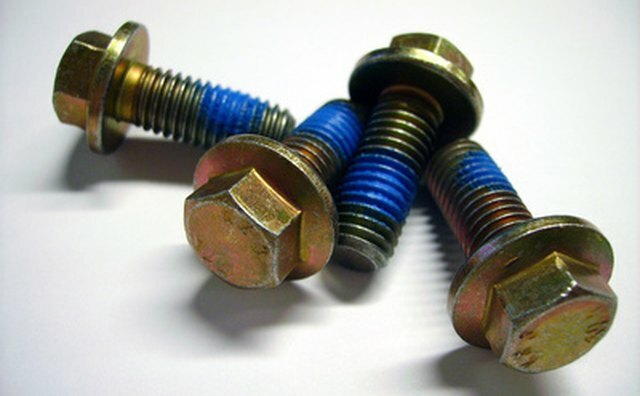 Whether grade 8 bolts and nuts are used, or some other grade of bolts and nuts, the connection should be designed taking tensile strength and all of the other mechanical, physical and chemical properties of the materials into consideration.